Although many types of fencing are designed to last, issues such as weather, accidents, and age may impact the appearance or function of these structures. If you’re planning to repair or replace your fence, then consider the following factors to help determine which option is right for you! Among the first things you should do when considering whether to repair or replace your fence is to check your area’s zoning laws. Not taking this step is among the most common errors that homeowners make when they opt to replace their old fencing, sometimes leaving them with hefty fees to pay. For example, even if you intend to replace your fence with one that is identical in size and material, you may still require a permit for the project. If you’re a member of a homeowner’s association, then investigate its requirements for fencing, as well. 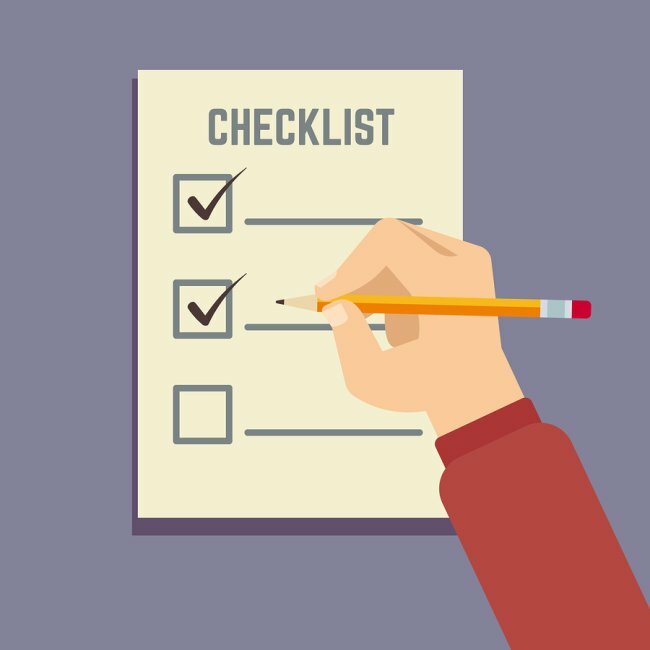 Taking these steps can help you decide whether repair or replacement is your best option. Establishing the extent of the problems affecting your fence is important for determining whether repair or replacement is the most practical option. If fencing has suffered damage due to an accident, then only a panel or so may be affected, which would make repair a smart choice. However, if your fencing is aging and showing signs of rot, warping, or cracking throughout the structure, then replacement may be your best bet. Lastly, if you’re still on the fence about repair or replacement, then consider how happy you’ve been with the structure’s performance. Does it provide you with the amount of privacy that you want? Would you prefer something in a different style or color? If you’re less than satisfied with the overall look or function of your fence, then now may be a good time to invest in something better suited to your needs. Whether you need to repair a few fence panels or replace your existing fencing in San Jose , let the experts at A-1 Fence Inc. help. To receive your free estimate, contact us today at (408) 259-2955. A properly maintained fence can stand the test of time and continue to add to your curb appeal, but there are a couple of common mistakes that people make. Knowing your maintenance requirements, staying on top of repairs, and setting up a maintenance plan are important for keeping your fence in great shape. Here’s a closer look at the maintenance mistakes to avoid. Unless you obsessively take care of your fences, it’s impossible to tell if you’re giving your fence enough maintenance without knowing what it needs. It’s not always easy to make time in your schedule to maintain your fence. If this is the case for you, then you might want to choose fencing material that doesn’t need too much attention . Iron fences are known for their durability and low maintenance requirements, but you should understand what it takes to maintain your fence no matter what material you choose. Fencing problems will never take care of themselves, which means it’s your job to make the call to have your fence repaired when necessary. If you wait too long to have your fence repaired, the problem will only become more severe, and the necessary repairs will be more extensive and involved. It’s best to take care of these issues sooner rather than later, so you don’t forget about them and let them develop. Life tends to be easier when you stick to a plan. When it comes to your fences, you should have some idea of when to give them some attention. You can also work with your fencing professionals and enlist their services to make sure you don’t wait too long to maintain your fences. Driveway, dog, and pool fences all need maintenance, and a plan can help. If you’re looking for a pool fence near San Jose that’s easy to maintain, contact the professionals at A-1 Fence Inc. Fencing is our specialty, and our cast iron fences and gates are easy to take care of. Give us a call at (408) 259-2955 or take a look at our website and our services. Your fence is meant to deter home invaders, protect your family, and add to your house’s appeal. However, your fence is only as good as your regular inspections. Read on to see why it is so important to inspect your fence for damage . A damaged fence invites criminals. If your fence or gate looks worn or broken, then potential criminals see an opportunity to invade your home or damage your property. Unrepaired fences are a visual message to the world that you are unconcerned with the protection of your family and property. Whether the message is true or not, criminals see broken or badly maintained fences as an invitation to inspect your property and home for other weaknesses. A damaged fence risks injuries. When your security or pool fence—likely used to keep your children and pets in the boundaries of your property—is damaged, then you risk injuries to your family. Your children or pets may locate a weakness and sneak out of your yard. Possible intruders and wildlife may find that weakness and use it to enter your yard and attack your vulnerable children or pets. 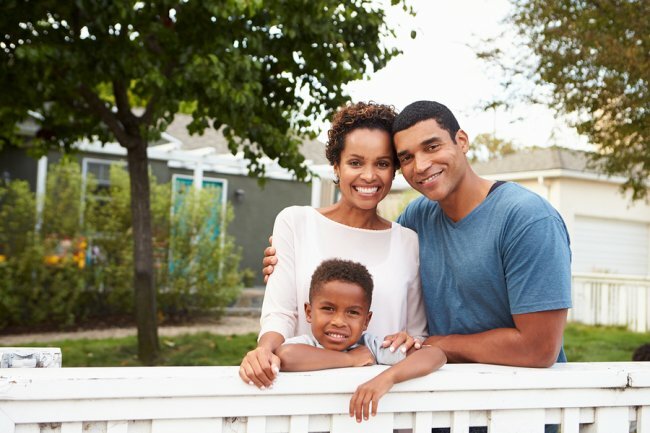 It is crucial to the continued safety of your family that you regularly inspect your fence for damages. A damaged fence looks unattractive. If you are concerned about your property’s resale value or you have a homeowners’ association, commonly known as HOA, then you should regularly inspect your fence. Many HOAs have strict rules governing the condition of front yards, which will include your fence. If you plan on selling your home, then fence repairs are crucial to maintain or increase your resale value. Prospective buyers are likely to look at other houses, if your house’s first impression is broken down or worn. Don’t let your damaged fence design in San Jose cause an accident on your property. 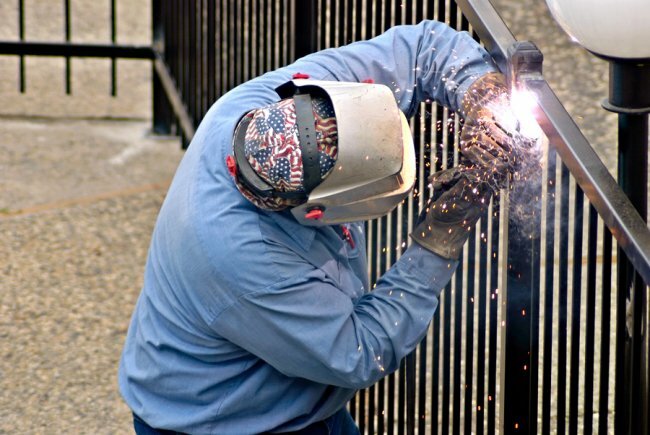 Work with the experts at A-1 Fence, Inc. to repair or replace damaged sections of your fence. To schedule your appointment, call us today at (408) 259-2955. A new automatic gate in San Jose can be an exciting purchase, but it will not retain its aesthetic appeal and flawless function without the appropriate maintenance. If you want your driveway gate to continue to look and work as impressively as it did on the day it was installed, you will have to take the time to keep up its condition. Here is a look at a few helpful tips for maintaining your automatic gate. Your new automatic gate will provide your property with a sense of modernity, luxury, and aesthetic intrigue. As rewarding as this may be, these qualities will gradually decline if you fail to properly maintain your gate; unfortunately, your automatic gate may have the opposite effect on your property if it becomes rusted, flaky, or faded. This is why it is important to wash and wax your gate on a regular basis. Even if a regular basis means just once per year, your gate will appreciate the upkeep and reward you by continuing to add a desirable visual appeal. If you fail to wash and wax your gate and it begins to rust, you will have to go through the process of removing, refinishing, and rehanging the gate. Automatic gates may make use of several moving parts, and it is important to keep these parts lubricated so that the gate continues to function properly. It is equally important, however, that you use the proper type of lubrication for these parts. Lubricants like WD-40 and heavy greases are not advisable choices when it comes to lubricating automatic gate components. Instead, consider white lithium or another marine grade grease to keep your gate in working order. Part of maintaining your automatic gate includes controlling any pests that may come to sabotage its performance. These gates typically depend on electrical components in order to operate effectively, and creatures like snails, bees, and spiders can damage them. Call a professional pest control company as soon as you notice the presence of these pests around your automatic gate. 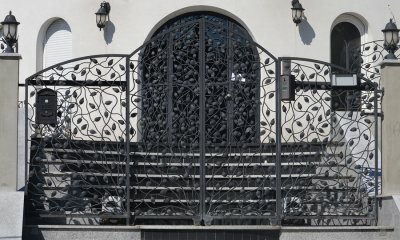 Wrought iron is durable and attractive, but must be maintained regularly to keep it from developing rust. If you have rusted wrought iron in San Jose that needs to be repaired, call A-1 Fence Inc. for a free fence repair estimate. Our team has over 40 years of experience with fence repair, installation, and maintenance. For more information on how to repair rusted wrought iron, watch this video clip. Rust can completely destroy a wrought iron fence. To repair rust, we will first remove your wrought iron fence. Then we will replace the rusted portions of the fence and treat them with anti-rust finishing. We will clean your fence as well to make it look brand new. When you install a chain link fence on your property, you will enjoy economical and long-lasting protection for your property. To boost the beauty and style of your chain link fence, you may want to adorn your fence with shrubs and landscaping. There are several different plants that can be used to cover chain link or cast iron fences. For example, a ficus hedge can be planted along a fence. As the ficus grows, you can train it to travel along the surface of the fence. A contractor offering fence designs in San Jose can help you choose the perfect landscaping to accompany your new chain link fence. To learn more about growing shrubs along your fence, be sure to check out this video from ehowgarden. If your property is in need of additional privacy and security, you may want to consider a chain link fence installation. While a chain link fence is a highly functional choice for your yard, this fence style is not as ornamental as a wrought iron or wooden fence. To boost the style and character of your chain link fence, you may want to paint your new fence after it is installed. A contractor specializing in fencing in San Jose can provide you with the ideas and equipment needed to apply a fresh coat of paint to your fence. Read on for some handy tips for painting a chain link fence. Since a chain link fence does not have a solid, flat surface, your paint may drip as it is applied. To prevent spilling paint on your grass or yard, it is important to prepare the area beneath the fence before you start painting. For example, you can lay down drop cloths or tarps to catch any paint drips that occur as you are painting. You will have a couple of different options when you are choosing your painting equipment for your chain link fence painting project . For example, a heavy nap roller can be used to paint large sections of your fence. Since this equipment is powered by hand, it can take more time to paint large fence areas. To speed up your painting, you may want to choose a paint spray gun. Whether you use a heavy nap roller or a paint spray gun to paint your chain link fence, there is a good chance that you will miss small sections as you are painting. To ensure that your chain link fence has a polished and professional look after you are finished, it is a great idea to perform a final touch up using a small paint brush. Chain link fencing offers a functional solution for homeowners or businesses looking to define property lines and secure yard space. 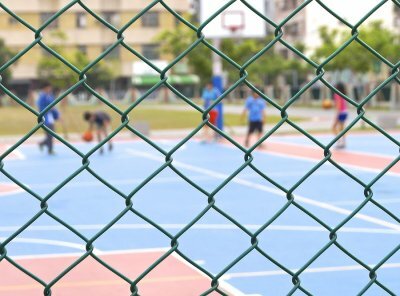 The open weave in chain link fences gives a transparent appearance, which means there is no obstruction of sunlight from either side of the fence. However, chain link fences do add to your regular lawn maintenance routine. Because lawnmowers and weed-eaters cannot reach grass and weeds under a chain link fence, you need to prevent grass and weeds from growing under your chain link fence in the first place. To keep your fence line from looking messy and unkempt, here are some tips for preventing grass and weeds under your chain link fence. For starters, mark a line at least six inches into the yard from the fence line using stakes and string. The string marks the edge of the area you will trench and mulch. Dig straight down a few inches deep along the string line with a sharp garden spade. Remove grass and weeds with the spade, using caution not to bend the bottom edge of the chain link fence. 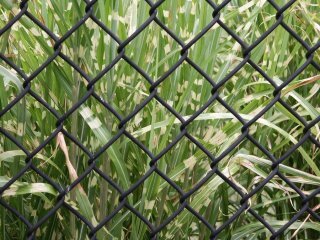 If your San Jose chain link fence was installed over existing grass or weeds that you cannot remove with the spade, spray a premixed glyphosate herbicide to the grass or weeds under the chain link fence. This will ensure that the grass and weeds die before you cover the area with landscape fabric. Fill in the trench with mulch or small rocks and cover with landscape fabric. Press landscape staples about a foot apart through the edges of the fabric to hold it in place and cover with mulch or small rocks, such as pea gravel. Spread the material evenly over the fabric using your hands to avoid pulling up the staples. Click here to learn more about chain link fencing and to learn about our solutions to your fence issues, have a look at our fencing services page. We offer fence maintenance, repairs, and ornamental iron fencing that could address your concerns with grass beneath your fence. Or give us a call today at 408-259-2955!